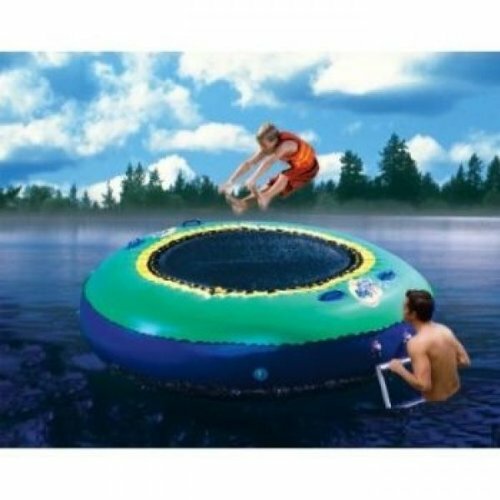 This bouncer trampoline is fun to use in the water or just on the ground! This trampoline inflates to 72" in diameter so there is plenty of room to bounce around. Comes with rope ladder so you can climb on in easily while in the water and 2 unfilled sand bags for anchoring. •Ages 3+ •Inflated size 72"L x 72"W x 16"H. •Made of PVC •The Jumping material is Nylon and used Rope to attached to the top. 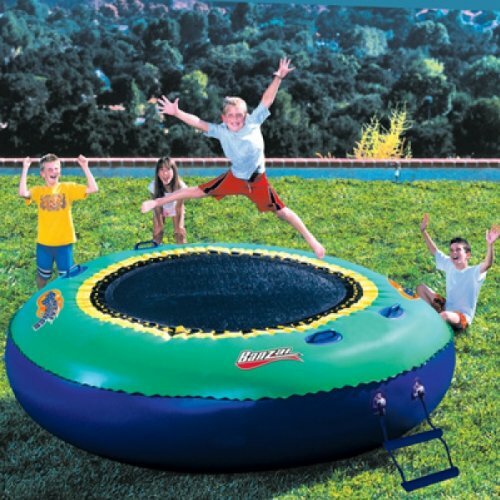 This bouncer trampoline is fun to use in the water or just on the ground! Inflated size 72"L x 72"W x 16"H.
Comes with rope ladder so you can climb on easily while in the water. 2 UNFILLED SAND BAGS INCLUDED TO ANCHOR TRAMPOLINE DOWN IN THE WATER. If you have any questions about this product by Banzai, contact us by completing and submitting the form below. If you are looking for a specif part number, please include it with your message.